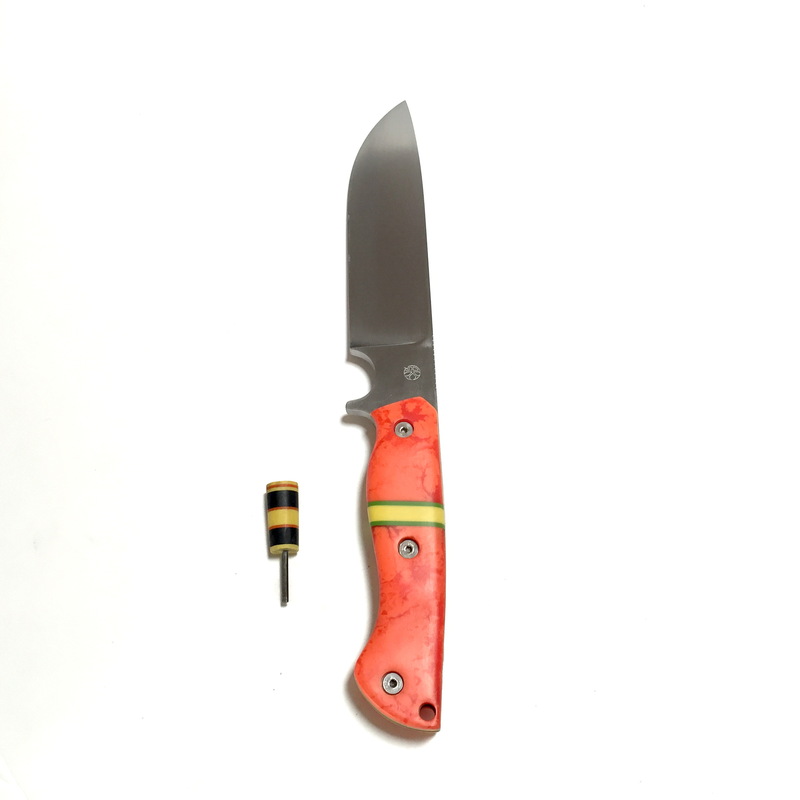 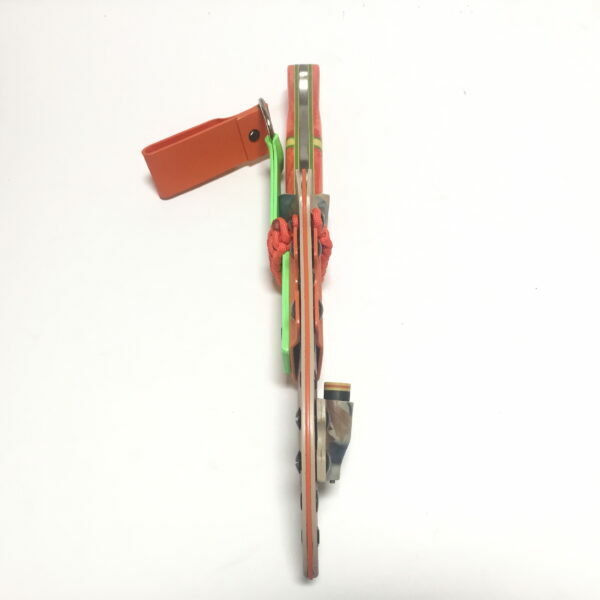 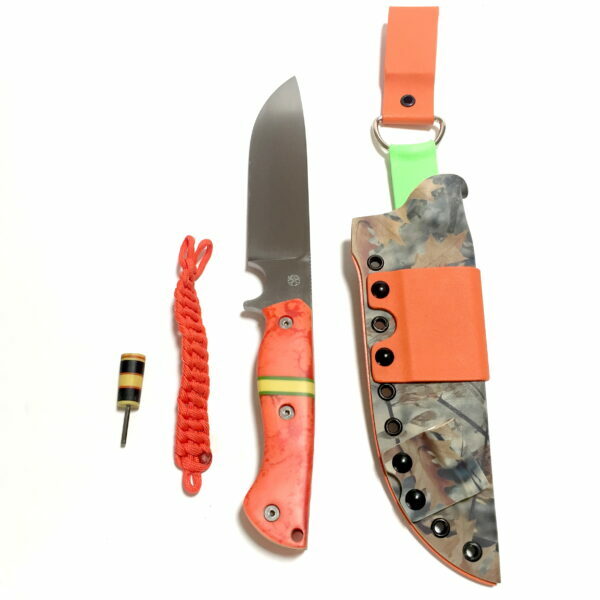 Handle Material: Orange composit night glow with G10 Liner. 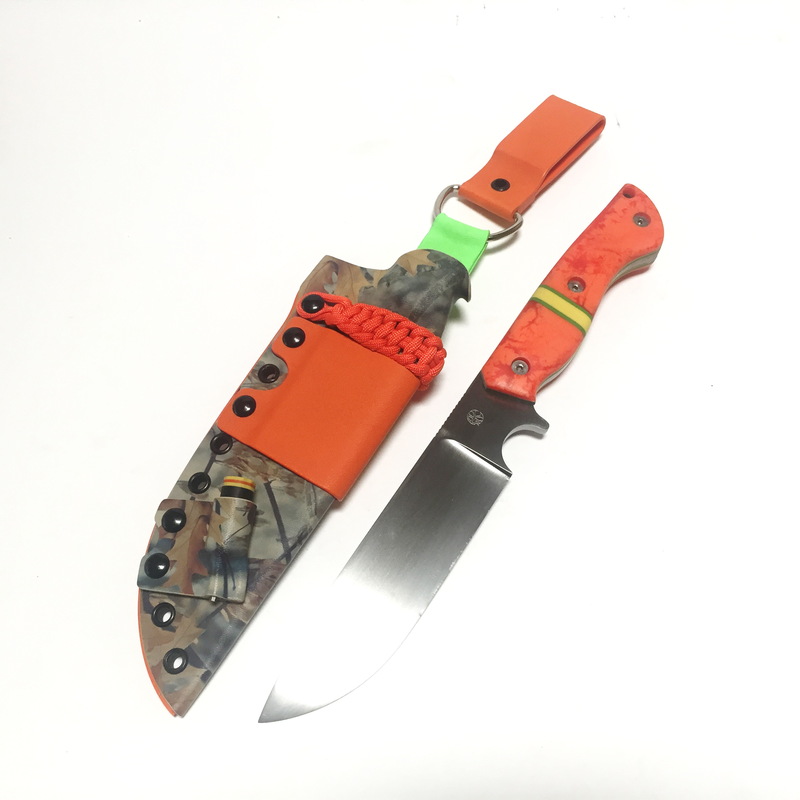 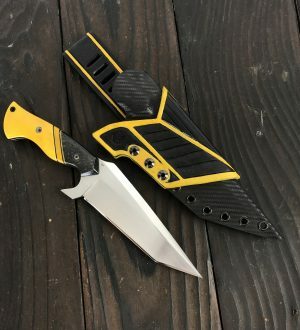 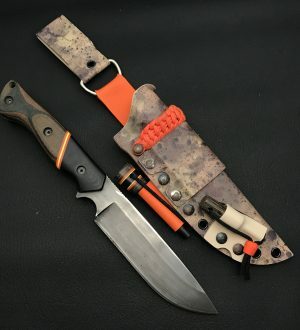 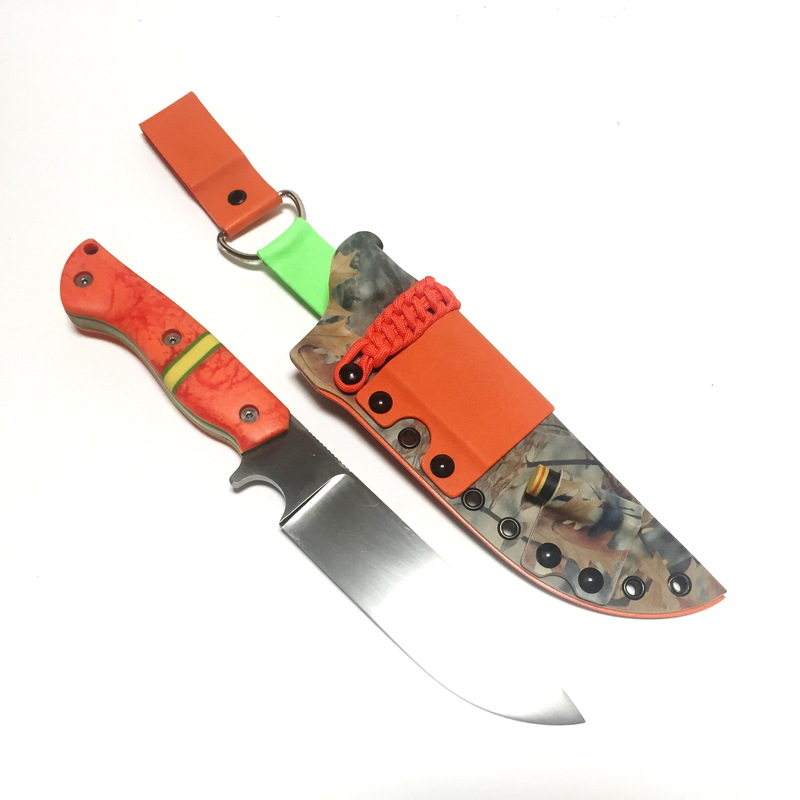 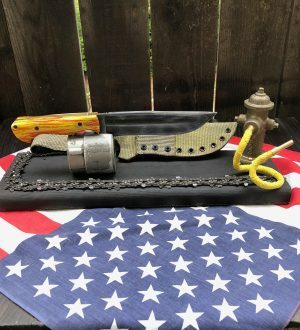 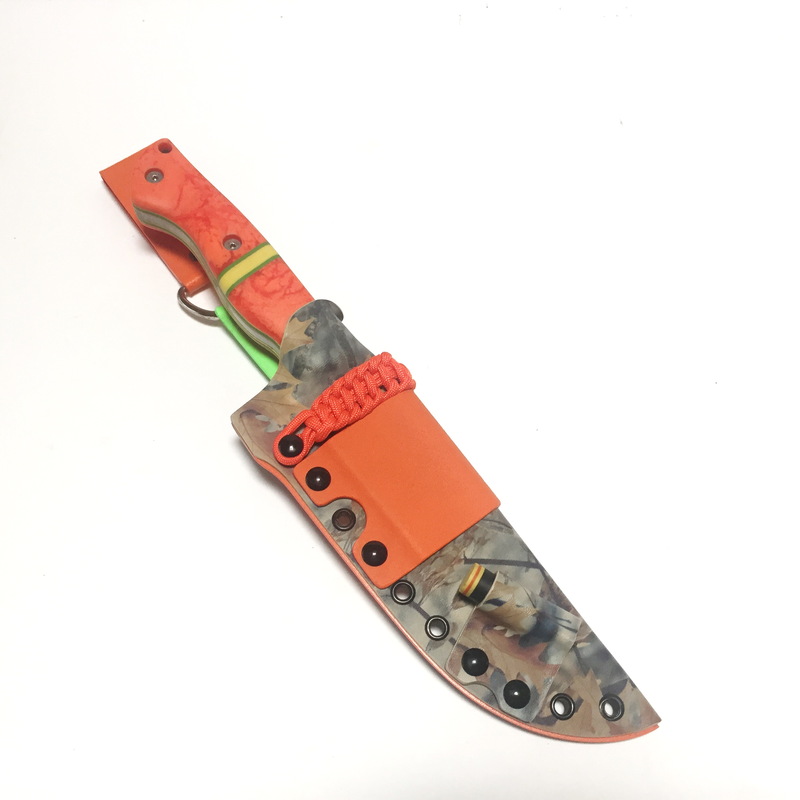 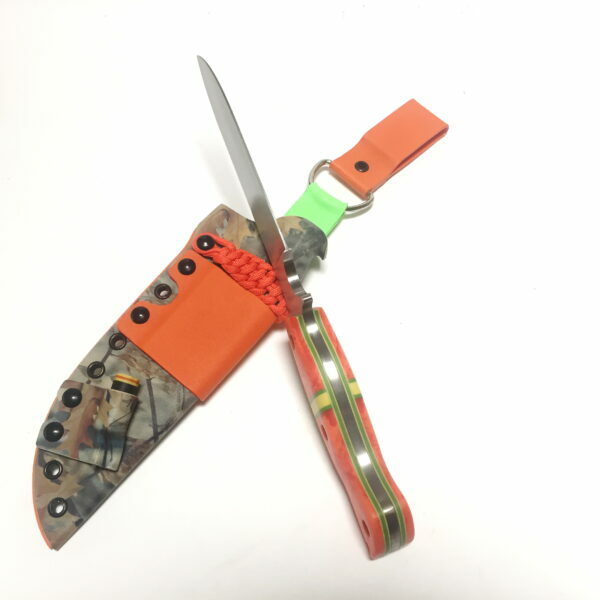 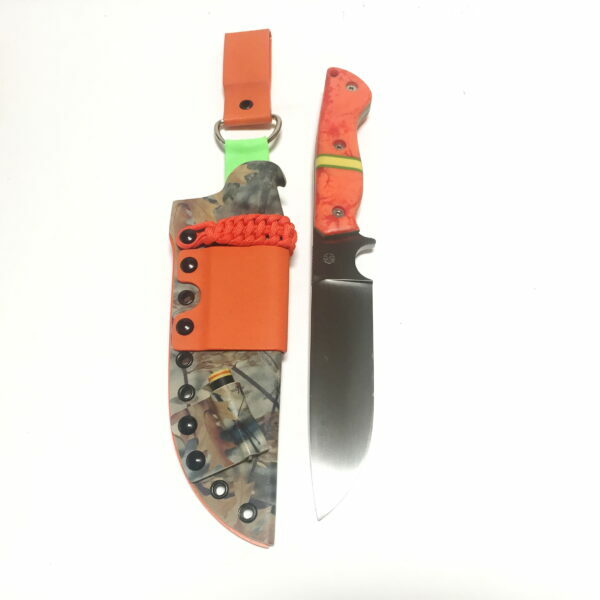 The HUNTSMAN from HAAKEN series is a super large survival knife featuring a 12″-1/4″ blade made of 1095 carbon steel with a Satin Acid washed finish. 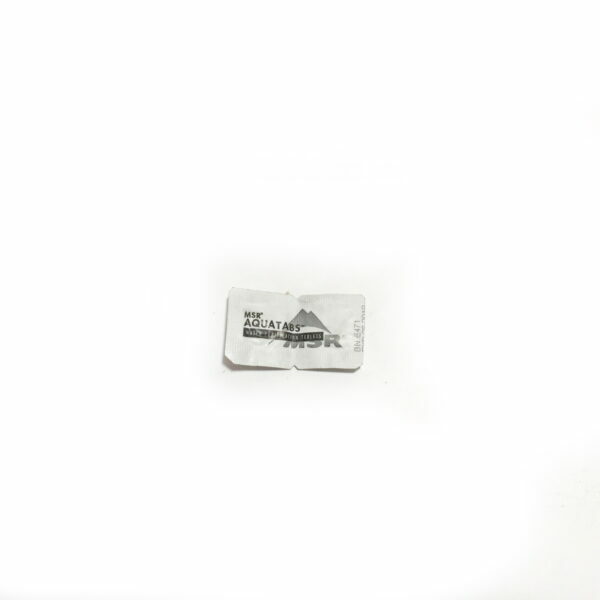 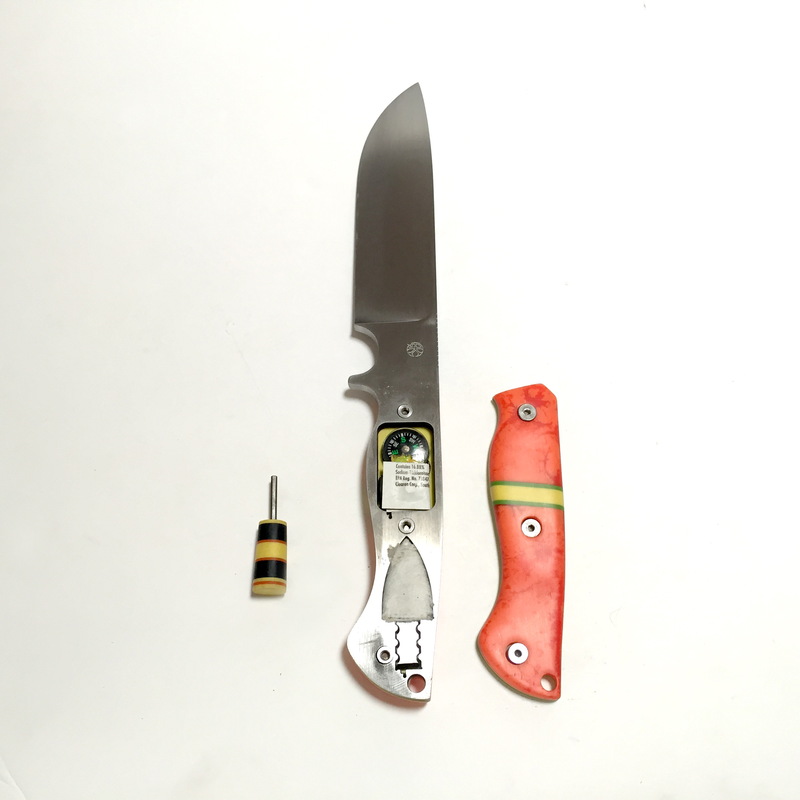 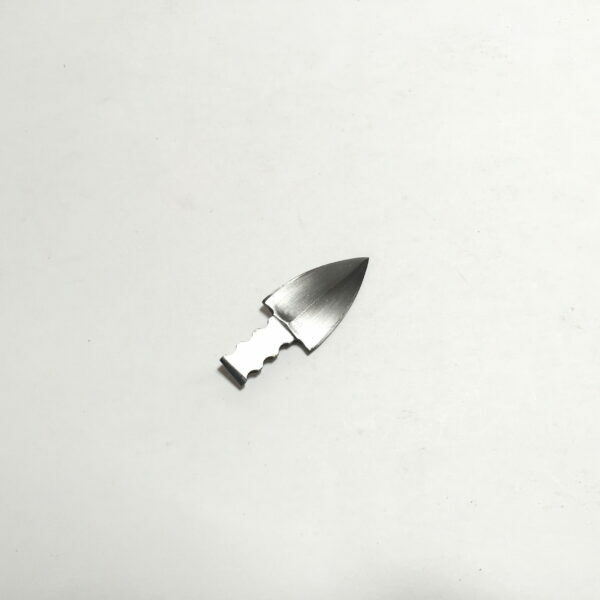 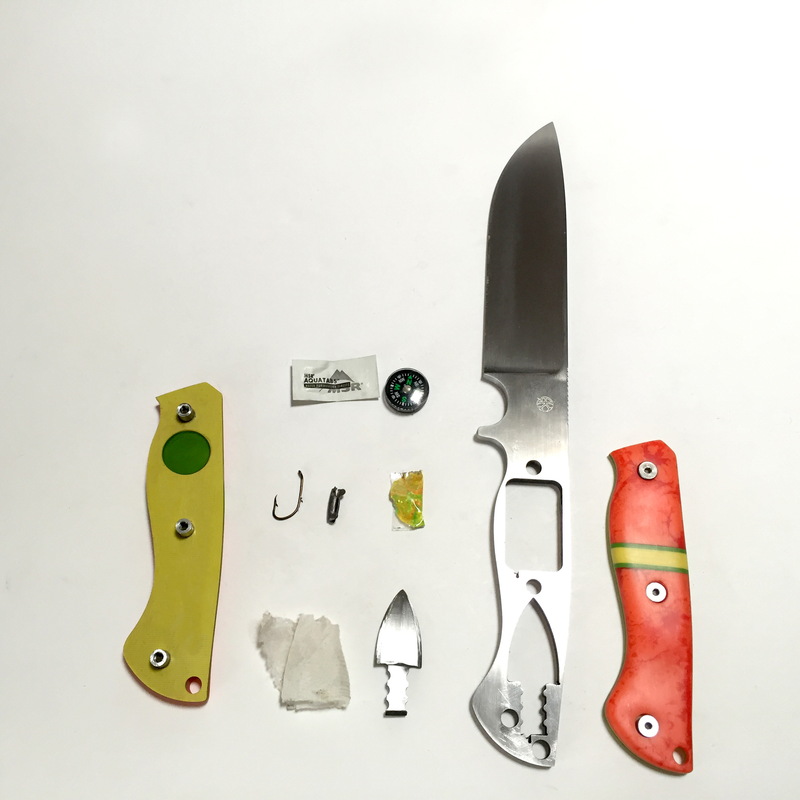 The thick Micarta handle is removable for cleaning and accessing the additional accessories. 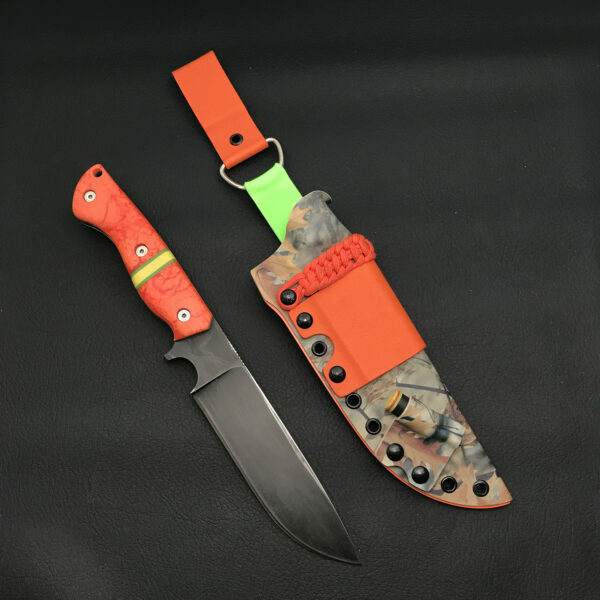 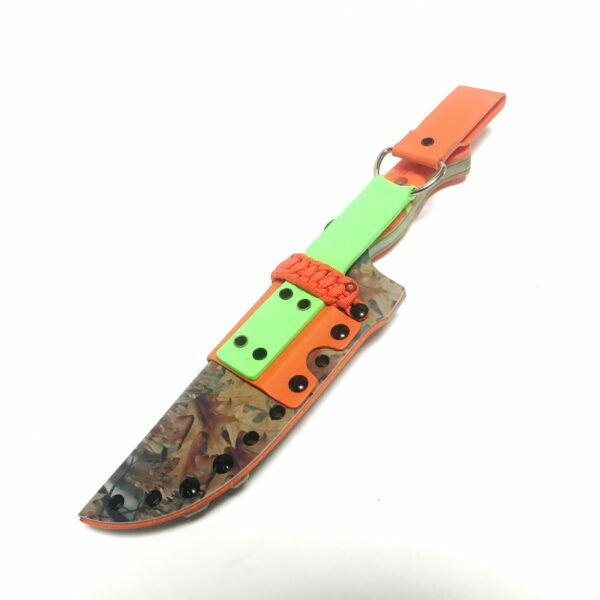 This knife is large enough for any task you put it to and in case of emergency you have all the necessary tools for your survival! 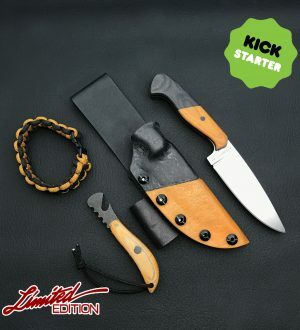 The sheath is a deluxe Kydex system.